There are some plots in cinematography, which are always popular even after long years. One of the best examples is Godzilla, and in 2014 we will be able to see it on the screen again. It will be the 29th movie about this dangerous monster, and already today you can get a glimpse of it. Godzilla movie is the second film in this long-life series that is fully created by an American studio. The project's director - Gareth Edwards - says that his action will be a reboot of the Japanese series and won't have any connection to the previous American blockbuster, created in 1998. In the new Godzilla movie we will see Aaron Taylor-Johnson, who played in The Illusionist as a kid and recently has appeared in Anna Karenina, and Bryan Cranston - the star of Breaking Bad show. The main female role is given to Elizabeth Olsen, who previously starred in Oldboy and is also known as a younger sister of famous Olsen twins. 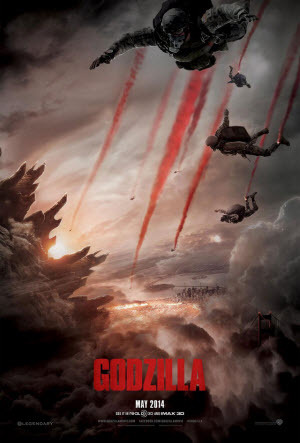 Godzilla movie will be released on the 16th of May, 2014 in 2D and 3D.